If you haven't been to the Lake Forest Park store this month, you haven't seen our beautiful new displays. 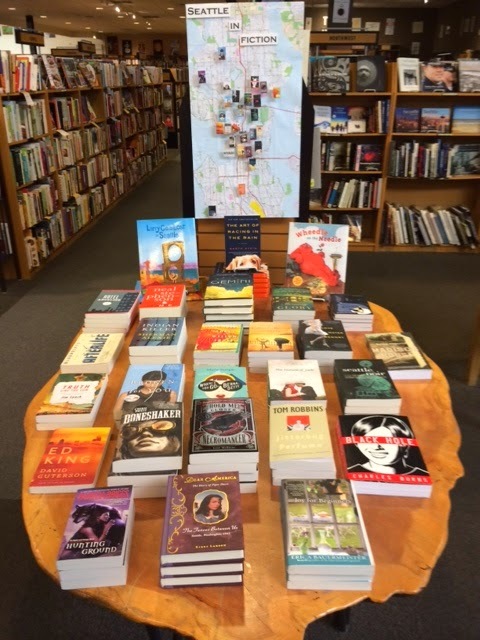 On the Tree Table, we're featuring books set in Seattle. You might be surprised at just how many books take place here. Very fun. Here are just a few of the books you'll find on the table. Pick one up today and read about your city! Seattle's Beacon Hospital, tending to patients with the most life-threatening illnesses and injuries. Her job is to battle death--to monitor erratic heartbeats, worry over low oxygen levels, defend against infection and demise. As Charlotte finds herself making increasingly complicated medical decisions that will tie her forever to Jane's fate, her usual professional distance evaporates. She's plagued by questions: Who is Jane Doe? Why will no one claim her? Who should decide her fate if she doesn't regain consciousness--and when? Perhaps most troubling, Charlotte wonders if a life locked in a coma is a life worth living. 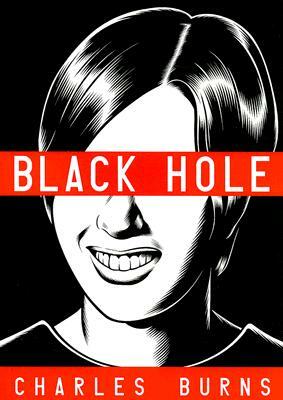 Enlisting the help of her boyfriend, Eric, a science journalist, Charlotte impulsively sets out to uncover Jane Doe's past. But the closer they get to the truth, the more their relationship is put to the test. It is only when they open their hearts to their own feelings toward each other--and toward life itself--that Charlotte and Eric will unlock Jane Doe's shocking secret, and prepare themselves for a miracle. 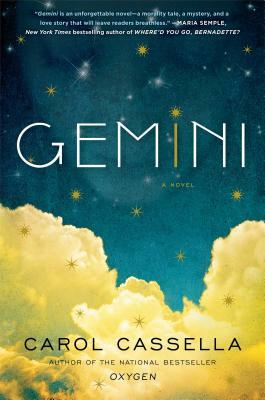 Filled with intricate medical detail and set in the breathtaking Pacific Northwest, Gemini is a riveting and heartbreaking novel of moral complexity and emotional depth. 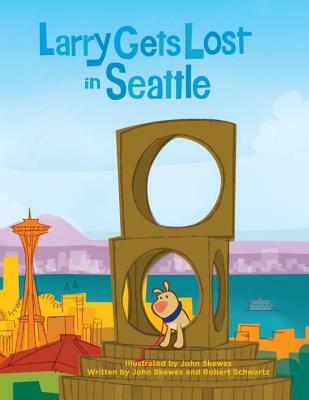 Larry Gets Lost in Seattle is an interactive, highly visual children’s story about a young boy (Pete) who goes to Seattle with his family and is temporarily separated from his cute little dog, Larry, while sightseeing. In his search for Pete, Larry encounters many Seattle landmarks and cultural attractions before the two are reunited. 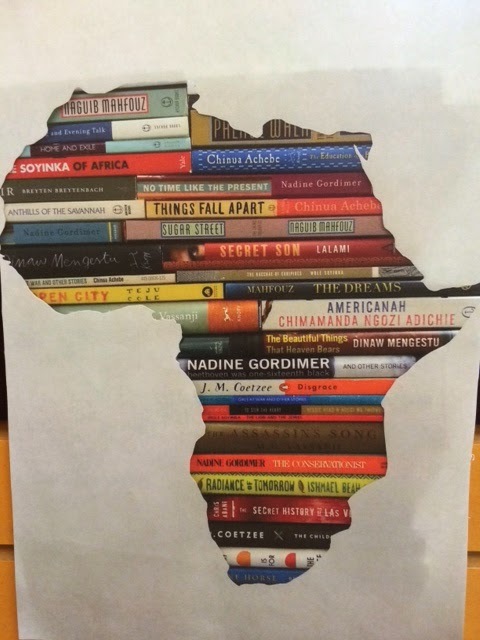 This month, the Small Table is dedicated to authors from Africa. 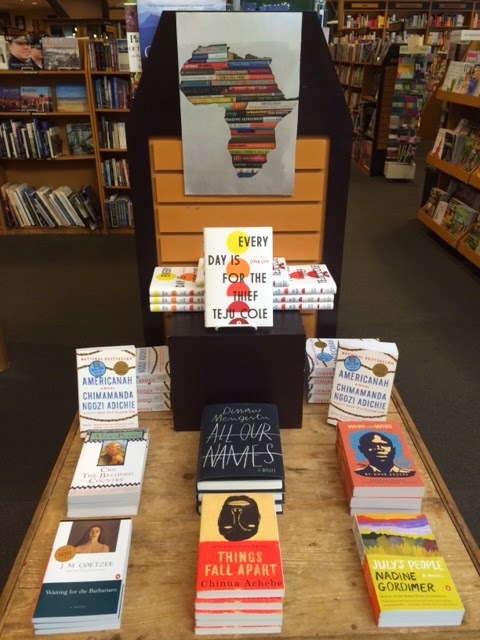 It's a big continent, and there are a lot of great authors, too many to fit on this little table. Take a look at this gorgeous poster for many more. 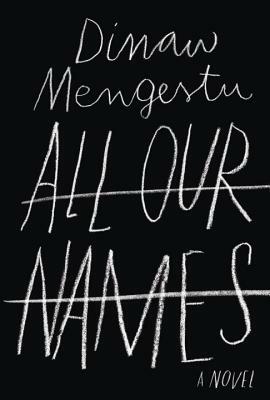 From acclaimed author Dinaw Mengestu, comes an unforgettable love story about a searing affair between an American woman and an African man in 1970s America and an unflinching novel about the fragmentation of lives that straddle countries and histories. 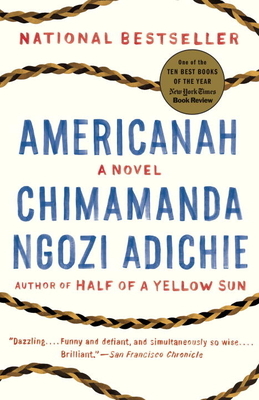 One of The New York Times's Ten Best Books of the Year and an NBCC Award Finalist An NPR "Great Reads" Book, a Chicago Tribune Best Book, a Washington Post Notable Book, a Seattle Times Best Book, an Entertainment Weekly Top Fiction Book, a Newsday Top 10 Book, and a Goodreads Best of the Year pick.